“With the support of our patrons, we are further improving air rescue services” When, in the early 1960s, the running costs of performing rescues by helicopter gradually exceeded the resources of the fledgling Swiss Air-Rescue and the Swiss government rejected his application for support from public funds, Rega Director Fritz Bühler appealed to the public for help. The principle of the patronage system was born and enabled Rega to continue to come to the aid of people in distress. In essence, not much has changed since then. The support of the general public has never been greater than in the past year and the importance of our patronage system for the future of Rega has also not diminished in any way. We and all of Rega’s employees are extremely pleased that in 2018 our ever-growing family of patrons increased by some 47,000 new patrons. More than 3,483,000 people now support Swiss Air-Rescue. With their annual patronage contributions and donations, they cover over 60 percent of the total costs. It is this solid foundation that makes it possible in the first place to continually invest in further developing Rega and air-rescue services in Switzerland. In recent years, besides large-scale infrastructure and IT projects, our main focus has been on modernising our aircraft fleet and pursuing our vision of all-weather rescue. With the three new ambulance jets and two of the total of seven new lowland rescue helicopters now in operation, in 2018 we successfully brought to a close two major acquisition projects that had been in the making for several years. However, in terms of the Rega vision and the related expansion of instrument flight routes and the corresponding approach flights for hospitals, in the past year, too, we were continually confronted with bureaucratic hurdles, which made it impossible to achieve our goal. The fact that Rega’s vision significantly benefits our patients is clearly demonstrated by the statistics: in 2018, thanks to instrument flight procedures, we were able to provide more than 300 people with swift medical assistance that otherwise would have not arrived until much later, or even not at all. Last year, the Rega Operations Centre organised more than 17,000 missions – more than ever before in the air-rescue organisation’s 66-year-old history. The Rega ambulance jets spent around 4,700 hours in the air in order to fly seriously ill or injured people from countries abroad back home to Switzerland. The Rega helicopters, meanwhile, delivered urgently needed medical help by air in over 10,000 cases. These figures show that Rega is needed, and they strengthen our resolve to continue to follow our current path – by always putting people at the centre of everything we do and continuing to invest in air rescue in future. You can read more about what this means in concrete terms on page 10: we tell you about our newly developed Rega drone, which in future will fly autonomously and without visual contact with the drone operator and supplement our operational resources for searching for missing persons. On the helipad at Lausanne University Hospital: unloading a patient who is attached to a mobile heart-lung machine. engineers and designers at Rega’s in-house development centre devise and construct the necessary modifications to the Rega aircraft so that the medical equipment is permitted to be deployed in the Rega helicopters and ambulance jets. The development centre, which employs five staff, is authorised by the European Aviation Safety Agency EASA to carry out such alterations and with its work ensures that critically ill patients receive optimal medical care while they are being flown to a central hospital. for the approval of IFR approach flights to the Swiss Paraplegic Centre in Nottwil, the University Hospital Zurich, Lucerne Cantonal Hospital and Winterthur Cantonal Hospital; at the beginning of 2019, certification was granted for the IFR approach flights to the University Hospital Zurich and Winterthur Cantonal Hospital. Additional hospital approaches under instrument flight rules that have been developed by Rega still need to be certified. In combination with the three all-weather AW169-FIPS rescue helicopters that will join the Rega fleet in 2021, and with further IFR approaches, Rega intends to broaden the scope of possibilities for secondary transports between hospitals, and on doing so to further improve primary medical care in Switzerland. baby in a transport incubator. In order to continue to be able to provide its patients with the best possible medical care in future, Rega, together with its partners, is working on safely carrying out intensive care transports with its rescue helicopters â&#x20AC;&#x201C; around the clock and in all weathers â&#x20AC;&#x201C; as part of primary medical care in Switzerland. operator identifies a person 60 metres below the hiking path. He transmits the precise coordinates electronically to the Rega Operations Centre. The flight coordinator there immediately calls out the helicopter crew from the nearest Rega base, who subsequently provide the hiker with medical assistance and fly her to hospital. Intensive tests with a prototype This mission is a fictive one – but this is soon to charge. Over the last year and a half, Rega has been working assiduously on its own drone project. The first, fully equipped Rega drone is currently undergoing rigorous testing. It is expected that it will be possible to deploy the Rega drone for search flights for lost persons from spring 2020. According to Sascha Hardegger, Head of Helicopter Operations and project leader, the idea of a Rega drone arose several years ago: “We observed the development of drone technology from an early stage and were always convinced that drones could further extend Rega’s scope of operations. Eighteen months ago, we felt that the time was ripe to launch a concrete project.” Currently the greatest potential for this technology is seen to lie in the aerial search for missing persons. Here Rega can draw on decades of experience gathered in the course of countless search missions. After all, situations continually arise where the Rega Operations Centre has reason to assume that a person is in trouble in rough terrain but does not know exactly where they are – and therefore first need to be found before they can be provided with medical assistance and airlifted to safety. When developing the concept for the Rega drone, those responsible did not just benefit from the expertise of the helicopter crews and the mission coordinators, but also consulted the mountain rescuers and terrain search dog handlers from the Swiss Alpine Club SAC. Together they specified all the various things that a “search drone” should be able to do in order for a search mission to be successful. How a search is conducted using the Rega drone After being called out by the Rega Operations Centre, the drone crew, comprising an operator and a pilot, drive to the operational area in a 1 transport vehicle. Inside the vehicle is the Rega drone and the 2 ground control station, from which the crew operates the drone without direct visual contact and monitors the data that it transmits. Thanks to 3 satellite navigation, the 4 Rega drone scans the predefined search area in an automated manner and can also be used in adverse weather conditions. The two-person drone crew share the tasks: the 5 drone operator coordinates the use of the drone and acts as the link between the Rega Operations Centre and any other rescue teams on location or in the search field. These might be, for example, the police or 6 mountain rescuers from the Swiss Alpine Club SAC. Rega’s search missions Last year, Rega searched for missing persons from the air around 160 times. Its Operations Centre mobilised terrestrial mountain rescuers and terrain search dog handlers from the Swiss Alpine Club SAC on 130 occasions – either to assist the Rega crew or to search on foot because adverse weather conditions meant that the helicopter had to remain on the ground. The reasons for calling out Rega in connection with a missing person search are varied. What they all have in common is reasonable grounds to believe that a person needs help: for example, a hiker who has not arrived at the mountain hut at the agreed time, whereupon the hut caretaker calls out Rega. Or a man who fails to return after taking his dog out for a walk and the police asks Rega for assistance. Rega also regularly goes into action in response to swimming accidents to search for missing persons in lakes and rivers from the air. Operational altitude: max. 3,000 m a.s.l. Four methods of searching for missing persons If Rega is called out by the authorities or a private person and there is good reason to believe that a person has gone missing and needs help, the Rega mission coordinators have three – and soon four – different resources at their disposal, always in close collaboration with the police. The decision as to which search method is the most suitable is made based on the information available at the time the alarm is raised and the topography and weather conditions in the search area. Search flight with the Rega helicopter The Rega crews at the 12 helicopter bases throughout Switzerland are ready to go into action around the clock. If the search area is relatively limited and, for example, the planned route of a missing person is known, a search flight along the hiking path by the nearest Rega helicopter, with a Rega crew who are familiar with the area, is a sensible and swift initial measure. Mountain rescuers and terrain search dogs The mountain rescuers from the Swiss Alpine Club SAC are called out if the Rega crews require assistance in rough terrain or if poor visibility renders rescue by air impossible. These rescue specialists also include teams with terrain search dogs, which can be deployed as efficient search aids. All the missions conducted by the mountain rescuers are coordinated by Rega’s Operations Centre. IR/EOS multi-sensor search system With the IR/EOS multi-sensor search system, Rega has another ultramodern device at its disposal for performing searches over large areas. The system is mounted on the Rega helicopter and comprises a highly sensitive infrared camera, optical sensors, a searchlight and a computer workstation installed in the helicopter cabin. In operation for Switzerland Red rescue helicopters and white ambulance jets: Rega brings medical assistance from the air around the clock and is indispensable to the Swiss healthcare system. The over 3.4 million patrons keep Rega in the air with their annual contributions and make much more possible than is commonly known. With its three ambulance jets and twelve helicopter bases distributed all over the country, Rega is an integral part of primary medical care in Switzerland. Last year, Rega helped more than 11,500 patients and organised over 17,000 missions. In public perception, Rega is above all associated with its red rescue helicopters and the provision of emergency medical care immediately after an accident. But Rega is much more than that. Rega’s objective is to continually improve air rescue in Switzerland. And it resolutely pursues this goal – in the last years, for example, by investing in all-weather rescue and state-of-the-art aircraft and infrastructure, as well as by training its crews and collaborating closely with its operational partners. This overview of some of Rega’s many areas of activity shows just what is possible thanks to the solidarity contributions from the well over 3.4 million patrons. They ensure that in future, too, Rega will be able to provide reliable and professional assistance to people in distress at all times – in Switzerland and all over the world. Rega app Since its launch in 2011, the Rega app has been downloaded over 1.3 million times and has proved its worth in more than 3,000 missions. When the alarm is raised via the emergency app, the caller’s coordinates are automatically transmitted to Rega’s Operations Centre. This saves valuable time in determining the precise location of the injured or ill person – time that could make all the difference in an emergency. Countrywide radio network Rega operates its own nationwide radio network of 42 stations to enable its flight coordinators to support the helicopters crews during a rescue mission. This also includes an emergency channel, which is monitored by the Operations Centre and can be used by anyone to raise the alarm in an emergency. All-weather rescue In order to also bring medical help by air to people in distress in fog and snow conditions, Rega is pursuing its vision of being able to carry out rescues irrespective of the weather. It has, among other things, established a network of instrument flight routes, which is continually being expanded, and has also purchased three all-weather rescue helicopters, which will go into operation in 2021. The pilots of the future Rega supports specially selected young helicopter pilots with its own youth development programme. By doing so, it promotes Switzerland’s future pilots so that it will be able to continue to recruit sufficient well-trained helicopter pilots in the years to come. Rega possesses an H125 helicopter for training purposes. Operational partners and training From the ambulance services, to the police and fire service, to the piste rescue service: efficient cooperation between all the links in the rescue chain is of key importance if patients are to receive optimal medical care. Emergency procedures are frequently practised: Rega regularly carries out training courses and exercises together with its operational partners. Weather stations Up-to-the-minute meteorological data means increased safety for both patients and crew. For this reason, Rega has set up a countrywide network comprising some 60 weather stations and webcams. Data such as visibility, type of precipitation and altitude of the cloud cover are delivered to the pilot directly into the cockpit and, in the event of poor visibility, serve as a basis for a possible flight under instrument flight rules. Operations Centre The Operations Centre is the heart of Rega. Here, the flight coordinators deal with emergency calls around the clock; in 2018, they organised more than 17,000 missions both at home and abroad. The flight coordinators not only have an overview at all times of the available rescue resources throughout Switzerland and support the crews during the mission. They also arrange for patients to be repatriated from abroad, in close contact with the various crew members, airlines and insurance companies. Terrestrial rescue If the Rega crews need help in difficult terrain or if poor visibility renders rescue by air impossible, the mountain rescuers from the Swiss Alpine Club SAC are called on for assistance. These specialists belong to Swiss Alpine Rescue – a non-profit foundation that is jointly funded by Rega and the SAC. Rega’s Operations Centre coordinates all of the missions carried out by the mountain rescue teams. Safe hospital helipads Swift, gentle transport on board the Rega helicopter is of little use if it cannot land at the hospital safely. Rega is actively promoting safe, modern hospital helipads by advising and supporting Swiss hospitals with respect to corresponding infrastructure projects. Search flights with IR/EOS Rega’s multi-sensor search system comprises a highly sensitive infrared camera, optical sensors, a computer workstation installed in the helicopter cabin and a searchlight. It is deployed on missions to search for missing or injured persons. Intensive care medical transports Rega is the only air rescue organisation in Switzerland that is able to carry out highly complex intensive care patient transports. For example, it flies premature babies or intensive care patients from small, peripheral hospitals to central hospitals. Rega’s inhouse design and development centre ensures that the necessary high-tech medical devices, such as a mobile heart-lung machine, are approved for use on board the aircraft. Support for mountain farmers Every year, Rega’s flight coordinators organise around 1,200 missions on behalf of mountain farmers to recover injured, trapped or dead livestock from rough terrain. Rega commissions commercial helicopter firms to perform these flights. Missions abroad Rega serves as a bridge back home for people who find themselves in an emergency situation abroad; its three ambulance jets carry out patient transports all over the world. Rega is also in a position to transport patients in a highly critical condition. If an ambulance jet is not necessary, the patients fly back to Switzerland on board a commercial aircraft, competently and professionally accompanied by a member of Rega’s medical staff. Medical advice Worldwide hospital database In order to provide patients abroad with the best possible assistance, Rega manages its own global hospital database. Here Rega crews record information on the hospitals they have visited, such as the medical equipment, hygiene conditions and languages spoken by the doctors. Rega can draw on more than 60 years of experience in repatriating seriously ill or injured persons from abroad and use it for the benefit of its patients. Rega’s medical consultants are available around the clock to help people suffering from medical problems abroad. They give medical advice, provide addresses of suitable local hospitals and doctors, help to translate diagnoses or obtain replacement medication, and decide whether repatriation is necessary. Medical assistance by air Swiss Air-Rescue Rega was founded in 1952 for the purpose of providing emergency medical assistance by air. Thanks to wide-scale support from the Swiss people, it is able to meet the challenges posed by a country with extremely demanding topography. Rega is on call around the clock with its highly trained employees and state-of-the-art aircraft, finances the building and renovation of its dense network of helicopter bases, and constantly improves its air rescue services and procedures. Rega provides assistance wherever a person’s life or health can be preserved or protected through its intervention. Ambulance jets and rescue helicopters are swift, comfortable and efficient means of transport. Their targeted use helps reduce the subsequent costs arising from acute illnesses and accidents. Rega is an autonomous, privately run, non-profit foundation. With its 3,483,000 patrons, it is firmly rooted within the Swiss population. Rega operates independently of political interests and is not subsidised by the State. Rega is an integral part of primary healthcare in Switzerland and with its work contributes towards improving the quality of life, the economy and tourism in this country. You can rely on Rega. Locations Rega’s helicopter bases Rega aims to reach any location in its operational area within 15 minutes’ flying time. Twelve Rega helicopter bases distributed throughout the country make this possible. They are located in Dübendorf, Basel, Berne, Lausanne, Untervaz, Locarno, St. Gallen, Erstfeld, Samedan, Wilderswil, Mollis and Zweisimmen. In addition, there is a partner base in Geneva. At each of the helicopter bases, a Rega crew comprising a pilot, paramedic and emergency flight physician are standing by at all times, ready to bring emergency assistance by air to people in distress as swiftly as possible. The Rega Centre Rega’s headquarters is located at Zurich Airport, with direct access to the take-off and landing runways. While the three ambulance jets take off from here to destinations all over the globe, the rescue helicopters only come to the Rega Centre for major maintenance work or servicing. In addition to the hangar and the maintenance works for the Rega fleet, the Rega Centre is home to the Operations Centre, the administrative offices and the large, central materials store. Operations Centre The Operations Centre at the Rega Centre organises over 17,000 missions every year. It can be contacted around the clock – in Switzerland via emergency number 1414 and from abroad by calling +41 333 333 333. Rega’s rescue helicopters are on call 24 hours a day, 365 days a year, in the service of the Swiss people. The 18 AgustaWestland Da Vinci and Airbus Helicopters H145 helicopters transport state-of-the-art medical services directly to the casualty – not just in response to serious accidents or injuries, but also in cases of acute illness, such as cardiac problems. The rescue helicopters are called out to deal with incidents in inaccessible mountainous terrain, as well as on motorways and in built-up areas. They are used to transport critical patients gently and reliably to the nearest suitable medical centre or to fly newborn babies to a paediatric hospital. A highly versatile and efficient means of rescue, the helicopter plays an indispensable role in the modern-day healthcare system. Helicopter operations are divided into primary and secondary missions. Primary missions comprise rescue flights that transport emergency medical assistance directly to the scene of the incident. Secondary missions mostly involve inter-hospital transfers – for example, if a patient’s condition has worsened and requires specialist attention. Almost a quarter of all Rega helicopter missions take place at night – a demanding task for the pilot, paramedic and emergency physician making up the crew. Rega international For people who become seriously injured or ill abroad, Rega represents a bridge to their homeland. Its three own ambulance jets are used exclusively for transporting patients. The crew always comprises at least two pilots, a physician and an intensive care nurse. Rega is equipped to transport patients who are in a very critical physical condition. However, as each transport involves a certain degree of risk, operations of this kind need to be closely supervised by experienced medical coordinators. The use of an ambulance jet is not always necessary. Often patients are repatriated on board a scheduled aircraft â&#x20AC;&#x201C; competently and professionally attended to by a member of Regaâ&#x20AC;&#x2122;s medical staff. If travellers suffer serious medical problems abroad, Rega can also assist by providing them with expert medical advice by telephone as part of its emergency medical management. Medical consultants are on duty around the clock and, together with the doctors on location and the patients themselves, seek the best possible solution â&#x20AC;&#x201C; such as informing them of the nearest suitable hospital. Providing that it has capacity available, Rega also puts its knowledge and fleet at the disposal of clients abroad for patient transports. These missions help Rega crews to maintain and improve their operational and medical expertise, and also contribute towards covering costs. No patrons, no Rega Thanks to their annual contributions, Rega’s patrons enable the continued existence of the air rescue organisation. They keep Rega in the air, as a public service for the Swiss people. Professional rescue by air around the clock, 365 days a year, with highly qualified staff, state-of-the-art rescue equipment and a dense network of helicopter bases – it would be impossible to provide all this in a cost-effective manner. When, back in the 1960s, the fledgling air rescue organisation ran into serious financial difficulties, instead of relying on public funds, it set up a privately operated patronage system. Since then, the patrons have paid Rega’s “deficit” with their annual contributions. At around 60 percent, these patronage contributions, together with donations, cover more than half of the total budget. The remaining costs are principally covered by cost bearers, such as health, accident and travel insurers, in the form of payments for missions carried out on their behalf. In the meantime, this system has more than proved its worth. It gives Rega the freedom and independence to perform its duties as it deems best and allows it to fully focus on its patients’ welfare. As a token of thanks for patrons’ support, Rega can waive the cost of any of the services it performs on their behalf, provided that the person’s insurance company is not liable to pay them. You can find the Conditions of Patronage on page 38. Milestones Swiss Air-Rescue Rega was founded in 1952 to provide emergency medical assistance by air. Since then, it has organised over 400,000 missions and rescued countless people in distress. Even back in the pioneering days, Rega’s air rescuers succeeded in achieving the impossible. Rega has remained true to this credo to this day. Self-help by means of patronage No funds from the Swiss government. However, a nationwide appeal for help proves successful. 25,000 patrons save Swiss Air-Rescue from financial ruin. Bell 206A, the first turbine-powered helicopter The Jet Ranger HB-XCU has a turbine, but no rescue hoist. In mountainous areas where the helicopter is unable to land, rescue is only possible using the fixed rope. The organisation is founded Swiss Air-Rescue is founded as a sub-section of the Swiss rescue association, Schweizerische Lebensrettungsgesellschaft (SLRG), in the Hotel Bären in Twann. First direct rescue from the Eiger north face What until now had been deemed impossible, suddenly becomes reality: using a rescue hoist, the crew from the Gsteigwiler base lift two climbers directly off the rock face. Swiss Air-Rescue is ready to start operations On 25 December, Dr. Rudolf Bucher, the head of Swiss Air-Rescue, announces over Radio Beromünster that the parachutists and helicopters are ready for action. First Alouette III The Alouette III SE 316 HB-XDF is Rega’s first helicopter to be financed by patrons’ contributions. The picture shows it in operation at the Engadin Ski Marathon in 1972. The first rescue parachutists In winter 1953, Swiss Air-Rescue parachutists are used on a rescue mission for the first time. Twin-engine helicopter The introduction of the Bölkow BO-105C – depicted here on the roof of the University Children’s Hospital in Zurich – marks the beginning of the era of twin-engine helicopters at Rega. Large-scale live demonstration During three days in March, over 300,000 spectators watch a live demonstration in the area around Zurich’s lower lake basin, held to procure funds for air-rescue services. Operations abroad with its own aircraft Rega’s Learjet 24D HB-VCY is the first civilian ambulance jet in the world. It is fully equipped with medical apparatus and is on stand-by around the clock. Emergency assistance in the USA After a plane accident, Swiss AirRescue pioneers recover the bodies of 128 persons from an inaccessible area in the Grand Canyon region. Rega becomes a non-profit foundation The Association sets up a Foundation. Fritz Bühler is appointed the first Chairman of the Foundation Board. In 1981, Rega also becomes a Corporate member of the Swiss Red Cross. The first helicopter of its own A countrywide collection by the Association of Swiss Consumers’ Cooperative Societies (now Coop) produces sufficient funds to purchase a Bell-47 J helicopter. Fritz Bühler dies on 23 August: the great organiser and promoter of air rescue passes away totally unexpectedly at the age of 72 during a business event. An autonomous organisation under Fritz Bühler Swiss Air-Rescue breaks away from its parent organisation, the SLRG. Fritz Bühler is appointed Technical Director. The “Hitchcock” rescue A parachutist’s canopy becomes entangled in the aircraft’s tail wheel. The helicopter flies above the plane so that the rescuer suspended at the end of a rescue hoist can cut the parachutist free. First repatriation For its first repatriation mission, the private Piaggio 166 aircraft owned by Dr. Armin Meyer flies a patient from France back home to Switzerland. Long-haul ambulance jet The Challenger CL- 600 HB-VFW is equipped to perform long-haul operations with several patients on board. In Geneva, it is christened “Fritz Bühler”. Helicopters with night vision goggles Rega is the first non-military organisation in the world to equip all of its helicopters with night vision goggles, thus increasing the safety of night missions. Flying “blind” to the Inselspital 27 July: thanks to satellite-based navigation, Rega flies to the Inselspital University Hospital in Berne despite poor visibility, using the GPS-assisted approach procedure. The Hawker 800 jets commence services Two new ambulance jets replace the pair of Learjet 35 aircraft. The larger cabin and longer range improve the services for patients. State-of-the-art dispatch system The new interlinked systems allow alarm procedures to be largely digitalised and rescues to be coordinated more efficiently than ever. The new fleet is made up of Agustas On 14 August, the Untervaz base in Canton Graubünden puts the first of the 15 new twin-engine Agusta A 109 K2 helicopters into operation. The flight simulator for the AW Da Vinci sets new standards in pilot training. Instrument flight and emergency scenarios can now be practised realistically and efficiently – in safety and without harming the environment. The first round the world flight In a mission lasting 43 hours, the Challenger CL- 600 transports three patients in consecutive legs, a journey that takes it all the way round the world for the first time. Premiere for Rega’s new transport incubator, which can be used in both the jets and the helicopters and provides premature or newborn babies with the best possible medical care. New Rega Centre at Zurich-Kloten For the first time, Rega’s hangar, Operations Centre, maintenance works, logistics operations, Patronage Centre and Administration Department are all united under one roof. Rega orders three all-weather AW169-FIPS helicopters from Leonardo (formerly AgustaWestland), which are equipped with an anti-icing system and will go into operation in 2021. Three new Challenger CL-604 jets Three identical aircraft from the Canadian manufacturer, Bombardier, replace the 15-year-old air ambulance fleet. Rescue despite poor visibility thanks to IFR flight route network In December, two routes of the Low Flight Network for helicopters, which is based on satellite navigation, are certified for daytime use. Five Eurocopter EC 145 helicopters Rega purchases five spacious rescue helicopters from helicopter manufacturer Eurocopter for use at its lowland bases. This is followed by a sixth. Precise flight weather data 60 new or enhanced measuring stations and weather cameras now continually supply Rega’s helicopter pilots with up-to-date meteorological information – a key prerequisite for IFR flights. Tsunami in Southeast Asia Rega is pushed to the limit. Over a period of ten days, 16 medical teams are in operation. Within the space of a week, more than 60 casualties are repatriated to Switzerland. Authorisation for Low Flight Network Rega receives special authorisation to use key intersections of the nationwide network of IFR flight routes on missions virtually around the clock. The AgustaWestland Da Vinci is Rega’s new mountain helicopter Rega purchases from helicopter manufacturer AgustaWestland 11 rescue helicopters for use at its mountain bases. Three new ambulance jets The new Challenger 650 jets from Bombardier fly patients from all over the world back to Switzerland. The Rega jets replace the three CL-604s that have been in operation since 2002. Mobile heart-lung machine on board For the first time, critically-ill patients can be hooked up to a heartlung machine in the Rega helicopters and jets. Activities in 2018 In the past year, Rega came to the aid of more people than ever before: the Rega crews transported 11,579 patients (+ 7.3 %) on board its rescue helicopters and ambulance jets. That is equivalent to an average of 32 patients per day. Correspondingly, Rega’s Operations Centre was extremely busy; with a total of 17,124 missions (+ 7.3 %), it organised on average one mission every 31 minutes. often after dark (2,332, +1.6 %): in 2018, every fourth helicopter mission performed by Rega was flown at night. The amount of “Contadino” missions organised by Rega’s Operations Centre also increased marginally (1,301, +1.1 %): commercial helicopter transport firms are commissioned by Rega to carry out these transports to recover injured or dead cattle on behalf of mountain farmers. In the past year, the majority of investments were made in modernising the Rega fleet and in large-scale IT projects. In line with its strategic goals, Rega is almost 100 percent self-financed and does not need outside capital to finance its investments. able to withstand up to 20 times the force of gravity in an emergency. In addition, the crew had to be able to install specialised equipment, such as the mobile incubator for transporting premature babies, very quickly and without the use of tools. By arranging the equipment in a different way, the emergency flight physician and paramedic now have even more room in the cabin, which makes it easier to attend to the patient. Another Rega-specific development concerned the lights in the cabin of the rescue helicopter. Every fourth Rega mission takes place at night and the pilots wear night-vision goggles. In order for the emergency flight physician to have good lighting conditions while caring for the patient in the cabin but without the light source disturbing the pilot, the cabin lighting was redesigned and can now be dimmed at the touch of a switch. The cabin interior and medical equipment of the new Rega Challenger 650 ambulance jet have also been customised. For example, patients benefit from wider, multifunctional high-tech mattresses, the firmness of which can be adjusted to the patient’s weight. In addition, the so-called anti-decubitus function reduces the risk of pressure sores by means of undulating movements in the mattress core; this also improves blood circulation and, particularly on long flights, prevents thrombosis from occurring. For all-weather air rescue: the Low Flight Network For many years, Rega has been pursuing its vision of all-weather air rescue. Together with the Swiss Air Force and the Skyguide air navigation service, Rega has been working on setting up and operating the so-called Low Flight Network (LFN), a countrywide network of instrument flight routes that link airports, hospitals and Rega bases with each other. Some of the LFN routes are already in operation and actively being used: in 2018, more than 300 patients benefited from Rega pilots being able to fly despite poor visibility using instrument flight rules (IFR). Something else that has proved itself in practice is the special authorisation granted to Rega by the Federal Office of Civil Aviation (FOCA) at the end of 2017. This allows Rega pilots to also fly according to instrument flight rules to the military airfield in Emmen outside the official operating times. In order for it to be possible to fly directly to hospitals, too, IFR procedures are also needed for hospital helipads and for Rega helicopter bases. Rega has now completed the measures required and submitted to the Federal Office of Civil Aviation the necessary documentation for the certification of the hospital approach flights in Zurich, Lucerne, Winterthur and Nottwil. (Note: IFR approach flights to the hospitals in Zurich and Winterthur have been approved as from 31 January 2019, see page 8.) IR/EOS multi-sensor search system successfully in operation The search for missing or injured persons has belonged to Rega’s core competences since the very beginning. With the IR/EOS multi-sensor search system, which was put into operation in 2018, Rega now has an additional aid when searching for missing persons. Before a search flight, the system is installed on and in the Rega helicopter and subsequently operated by a specially trained person in the cabin. The high-tech system comprises a highly sensitive infrared camera, optical sensors, a computer workstation in the cabin and a connected searchlight. This makes it possible to perform searches efficiently and over large areas both during the day and at night and thus rescue people in distress as swiftly as possible. a subsidiary of the Swiss Paraplegic Foundation. This means that in future, SIRMED will be equally funded by Switzerland’s two largest benefactor organisations. For the Swiss Paraplegic Foundation and Rega, this joint funding structure is the logical continuation of many years of successful cooperation. Through its involvement, Rega will promote education and training at all levels of rescue medicine, which will improve the quality of collaboration at the accident site. This, in turn, benefits the patients. Rega exhibition at the Swiss Museum of Transport in Lucerne The Museum of Transport and Rega enjoy a long-standing partnership, which is continued in the new, interactive exhibition, “Medical help from the air”. On 27 April 2018 – on the occasion of Rega’s 66th birthday – Transport Museum director Martin Bütikofer and Rega CEO Ernst Kohler opened the fascinating new exhibition in the Aviation Hall. Rega’s presentation focuses on its everyday work in the 21st century. An Agusta rescue helicopter stands on a specially built landing platform identical to those mounted on hospital roofs. The newest attraction is the oldest serving Bombardier Challenger CL-604 ambulance jet, which Rega has handed over to the Transport Museum and will go on show as part of the Rega exhibition from 16 April 2019. We provide an around-the-clock service offering swift, expert assistance by air. In particular, we transport medical care to the casualty and help in emergency situations. Thanks to their annual contributions, our patrons enable us to build up and operate a suitable infrastructure to perform air-rescue operations on behalf of the Swiss population. This assistance also takes the form of medical advice and the use of our infrastructure. The services rendered by Rega to its patrons are not of a contractual nature and are therefore not deemed to be insurance benefits. Our operations are characterised by our highly qualified, professional members of staff and the very best equipment available in the fields of rescue, medical and flight technology. We are a non-profit organisation that is funded by its patrons. Our services are primarily geared towards the needs of the Swiss population. We are financed by means of private funding. This enables us to operate independently in the service of our patients. In the interest of the patient, we take an active stand against the commercialisation of air rescue. Emergency missions and other operations carried out on behalf of the general public are not conditional upon whether or not the ensuing costs are covered. Our rescue activities are based on the Fundamental Principles of the Red Cross. We are fully aware of the importance of working in close collaboration with our partner organisations, and actively foster a successful working relationship with them. Our members of staff play a decisive role in fulfilling our purpose. The following factors are of particular importance in this respect: • personal identification with the organisation and its purpose; • independence and responsibility; • willingness to perform, flexibility and motivation. We aim to achieve this by means of: • on-going training appropriate to the various hierarchical levels; • progressive working conditions; • appropriate salaries and attractive social benefits. We foster a style of behaviour among our staff that is open, cooperative and characterised by mutual respect. We act as a fair and reliable partner. We focus our activities on the fields of air rescue, air-ambulance repatriation services and medical advice. In order to maintain and further improve the top level of expertise of our medical staff, we also perform medically indicated flights on behalf of international clients. We strive to provide around-the-clock services of first-class quality and safety, as well as to cultivate a conscious, structured manner of dealing with risks. Our organisational structures are characterised by a clear-cut delineation of tasks, competences and responsibilities. These are implemented and respected at all hierarchical levels, from ordinary employees right up to the members of the Foundation Board. We act and communicate in an open and transparent way, both within our organisation and towards the outside. We are conscious of a potential conflict between performing our work and protecting the environment, and take this into account in everything we do. Medical Commission Christian Kern, Prof. Dr. med., Chairman Marco Maggiorini, Prof. Dr. med. Markus Furrer, Prof. Dr. med. Anna Brunello, Dr. med. Michael Hobmeier Paul Hälg, Dr. sc. techn. Executive Committee of the Foundation Board The Executive Committee comprises five members of the Foundation Board: the Chairman, the Vice-Chairman, the Chairman of the Medical Commission, the Chairman of the Finance Commission, and one other member of the Foundation Board. The Executive Committee of the Foundation Board is responsible for carrying out the tasks delegated to it. It coordinates the permanent commissions of the Foundation Board. Furthermore, on behalf of the Foundation Board, it supervises and monitors the Management Board and issues it with the necessary instructions. The members of the Executive Committee also serve on the Board of Directors of the subsidiaries, Swiss Air Ambulance Ltd. and Airmed AG. Management Board The Chairman of the Management Board is charged with managing the operative business, implementing the resolutions adopted by the Foundation Board and the Executive Committee, and delegating the various tasks and competences within the organisation. Tasks and procedures of the permanent commissions and the Advisory Committee Each specialist body is governed by a set of regulations specifying its various tasks and competences, and is headed by a chairperson elected by the Foundation Board. The commissions meet on a regular basis to discuss specialist matters, which are specified by the relevant chairperson. Prior to the meeting, the commission members receive the relevant documents so that they can prepare for the various items on the agenda. Medical Commission The Medical Commission comprises the Chairman, Prof. Dr. med. Christian Kern, and three physicians, all of whom are members of the Foundation Board. exchange of information between the various network members. Accounting and auditing The financial statements of the Swiss Air-Rescue Rega Foundation and its subsidiaries are prepared in accordance with the principles of Swiss GAAP FER accounting and reporting recommendations (in particular, GAAP FER 21), and give a true and fair view of its net assets, financial position and earnings performance. At Rega, the “four eyes” principle is applied. This means that fundamentally two joint signatures are required at all levels. The Foundation Board has drawn up a set of regulations governing competences and signatory rights. Both internal and external control bodies periodically check that these regulations are being complied with. Risk Management – Internal Control System, IKS The highly complex nature of emergency medical rescue, coupled with the strict requirements of aviation law and the demands of the Code of Obligations, make it necessary to take a structured approach to risks. Rega has combined demands from the Internal Control System and Safety and Quality Management to create integrated risk management in order to identify and view risks holistically and make use of available synergies. As Rega’s supreme body, the Foundation Board is responsible for risk management at Rega and all its subsidiaries. The key risks are systematically identified and evaluated every year, and appropriate risk control measures are taken. The identified risks are additionally monitored on an ongoing basis. 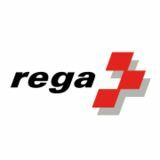 Rega’s interests Rega has interests in various companies domiciled in Switzerland. Strategic interests in companies and foundations in which Swiss Air-Rescue Rega directly or indirectly holds over 50 percent of the voting rights or which are controlled by the Foundation Board are consolidated in the annual financial statements. An overview of these interests is provided in Rega’s consolidated annual financial statements. 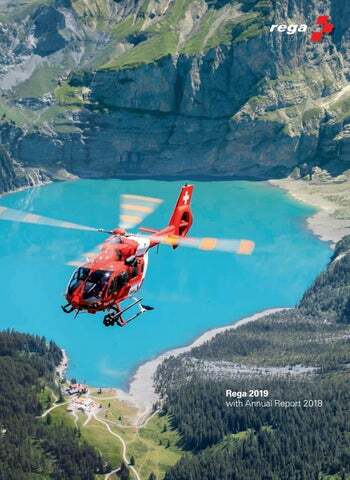 Rega further holds operative and functional minority interests of up to 25 percent in helicopter companies, airfield companies and associations and assistance companies in Switzerland. This portfolio is maintained in order to fulfil the purpose of the Foundation. Rega also has interests/investments which are managed by external asset managers according to a portfolio management agreement. Foundation Board compensation Compensation of the Foundation Board is based on the set of regulations approved by the Swiss Federal Supervisory Board for Foundations. Compensation (fixed sums, attendance fees and expenses) covers part of the expenses of Foundation Board members for preparing meetings, reviewing documents and attending meetings of the Foundation Board, Foundation Board Committee, specialist and ad hoc committees, Advisory Committee, partner organisations, pension foundations and other companies in which Rega has an interest. All compensation made to the Foundation Board and its Chairman is reported in detail in Rega’s consolidated annual financial statements. Federal Supervisory Board for Foundations As a non-profit foundation, Rega and its Foundation bodies are subject to the supervision of the Swiss Federal Supervisory Board for Foundations in Berne, to which it is required to submit a management report each year. The last assessment and review by the Federal Supervisory Board was conducted on 12 September 2018, and no objections of any kind were raised. 17 April: Coinciding with Rega’s Annual Media Conference, the new Rega Challenger 650 ambulance jet from Canadian manufacturer Bombardier lands at Zurich Airport and is greeted with a traditional water salute by the airport fire service. The jet with the registration number HB-JWA is the first of a total of three new ambulance jets that will join the Rega fleet by the end of 2018 in replacement of the CL-604 fleet. 25 April: The European Emergency Number Association (EENA) presents Rega with its Outstanding Rescue Service Award. The EENA unites more than 1,300 emergency call centres worldwide and each year honours organisations for their services in the field of public safety. The jury particularly highlighted the work of Rega’s Operations Centre and its central role in the coordination of rescue missions. 27 April: The Swiss Museum of Transport and Rega open the new exhibition, “Medical help from the air”. Visitors can guide a rescue helicopter in to land in the downwash simulator, take a look round the Operations Centre or test their knowledge about Rega in an interactive quiz. Besides the two Rega rescue helicopters, the Alouette III SE 316 and the Agusta A 109 K2, the longest serving Rega jet, the Challenger CL-604 with the registration number HB-JRA, will also be on display at the exhibition from spring 2019. 27 May: Around 15,000 visitors make their way to the Rega Centre to attend the two Open Days. At Rega’s headquarters at Zurich Airport, they have the opportunity to look behind the scenes of Switzerland’s air rescue services and inspect Rega’s new Challenger 650 ambulance jet for the first time. Helicopter and jet pilots, paramedics, emergency physicians, mechanics, mission coordinators and other Rega staff are on hand to provide information and answer questions. 10 October: With the aid of the IR/EOS multi-sensor search system, Rega successfully locates a missing person on the Niesen mountain (BE) at night. The high-tech system is mounted on the Rega helicopter and operated by a specially trained person. A highly sensitive infrared camera, optical sensors, a computer workstation in the cabin and a connected searchlight make it possible to perform searches from the air efficiently and over large areas – during the day and at night. 23 October: Rega’s new Airbus Helicopters H145 rescue helicopter takes off on its first mission. The crew from the Rega base in Berne fly a seriously ill patient as an emergency case from the Spitalzentrum Biel to the Inselspital in Berne. With its spacious cabin, the new Rega helicopter is ideally suited to special intensive care patient transports, such as with a heart-lung machine. 2 November: To mark its 50,000th patron in the City of Berne, Rega presents its brand new H145 rescue helicopter to the general public and lands in the middle of the Bundesplatz. Afterwards, members of the public are able to inspect the new rescue helicopter from the Berne base for the first time and have the Berne crew explain to them what makes this aircraft so special. 11 December: The measures to further develop Rega’s tried-and-tested emergency app are now completed and the updated version is ready for the app stores. As soon as it is activated, the app automatically transmits the coordinates of the person raising the alarm, which saves valuable time in an emergency. Since its launch in 2011, the app has been downloaded more than 1.3 million times. The new Rega app offers useful additional features that can facilitate a speedy rescue in an emergency. Some of these functions are available exclusively to Rega patrons – as a token of thanks for their invaluable support. Conditions of Rega Patronage In order to be able to provide a professional, round-the-clock and suitably equipped air rescue service in accordance with its purpose as a non-profit foundation, Rega is dependent on the financial support of its patrons. You can become a Rega patron by paying the following minimum contributions: • CHF 30.– for individuals • CHF 60.– for couples (married/cohabiting couples or registered partners) • CHF 70.– for families (parents with children who are under 18 years of age on the date of payment) • CHF 40.– for one-parent families (single parents with children who are under 18 years of age on the date of payment) Patronage is valid for the current calendar year and takes effect on the date of payment. If patronage is not renewed, it expires on 15 May of the following year. In grateful acknowledgement of patrons’ support, Rega can, at its own discretion and within the bounds of its resources, waive or reduce the costs of any emergency services listed below that it has provided or organised on their behalf, in the event that insurance companies or any other third party are not liable to pay and thus not required to reimburse the costs of the rescue operation, whether wholly or in part. In all cases, Rega provides its rescue services and also, where appropriate, waives or reduces the costs thereof without any legal obligation. Rega may be hindered or prevented from carrying out rescue missions in particular due to operational, medical or meteorological reasons. 1. Switzerland and the Principality of Liechtenstein • Rescue flights and medically indicated transports by helicopter to the nearest suitable hospital • Rescue operations conducted by rescue teams from the Swiss Alpine Club SAC • Search operations in collaboration with the police and other competent organisations, provided that there is reasonable hope of being able to help missing persons • Evacuations and preventive missions where a threat to life and limb exists • Flights to recover dead persons, after consultation with the authorities responsible • Flights to recover injured, sick or dead livestock and transport them to the nearest location accessible by another means of transport, provided that the owner of the livestock is a natural person and a Family patron 2. Worldwide • Medical advice by Rega’s Operations Centre in the event of medical problems arising abroad • Medically indicated repatriation flights to Switzerland for patrons domiciled in Switzerland or the Principality of Liechtenstein, as well as for Swiss nationals living abroad Rega decides whether emergency assistance should be provided based on medical, social and operational considerations, and is responsible for determining how and when the mission should be carried out. Rega may commission other organisations to perform missions on its behalf. In order to have the required leeway in providing this assistance, the patron concerned authorises Rega wherever necessary to pass on personal and medical data to other parties directly involved (operation partners, physicians, insurance companies etc. ), both in Switzerland and abroad. Rega’s Operation Centre (emergency number from within Switzerland 1414, from abroad +41 333 333 333) is available around the clock to anyone in distress and in need of assistance due to a serious accident or acute illness. Publication Publisher Swiss Air-Rescue Rega PO Box 1414 CH- 8058 Zurich Airport Editorial team Karin Hörhager Mathias Gehrig Philipp Keller Wanda Pfeifer Adrian Schindler Karin Zahner Corina Zellweger English version Wordmaster English Translations, Ottenbach Photos Laurianne Aeby Ulrich Burkhalter Stefan Hunziker Philipp Keller Thomas Lüthi Adrian Schindler Rega Photo Archive/Other Production tutto fatto, Zurich Design Schenker visuelle Kommunikation, Zurich Illustrations Source Associates AG, Zurich Prepress Sota media GmbH, Wallisellen Print Hürzeler AG, Regensdorf This publication is printed on 100 % recyclable and FSC-certified paper. A PDF version is available at www.rega.ch. © April 2019. All rights reserved. Reprints permitted with sources indicated. Reports, facts and figures of Swiss Air-Rescue Rega.